The Real Difference Between Medical Necessity and MDM. 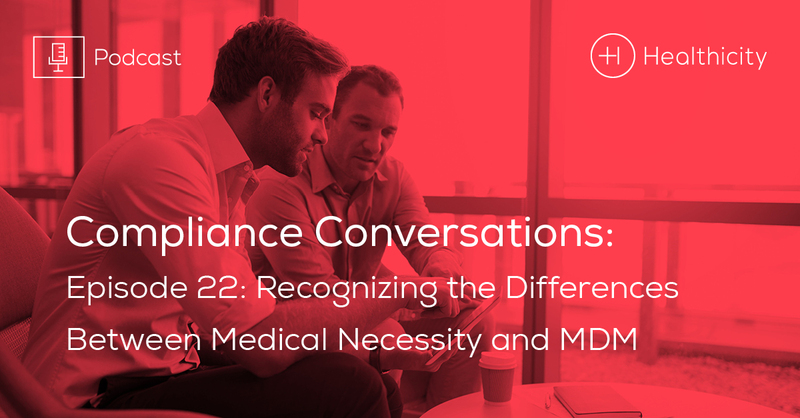 In this episode of Compliance Conversations, I chatted with Charla Prillaman, the Regional Vice President of Audit Services and 30-year compliance veteran, about the crucial differences between Medical Necessity and Medical Decision Making (MDM). Prillaman pointed out that both terms are incorrectly used interchangeably, though they have distinctly different meanings. “Medical Necessity is the foundation for payment for all medical services. We find the original or the beginning statement about medical necessity being the overarching criteria all the way back into the social security act…Now the complexity of medical decision making is that it’s intended to somehow or another quantify a provider’s cognitive work in a specific encounter with the patient.” Said Prillaman. In this highly requested conversation, Prillaman breaks down how to properly document medical necessity and medical decision making and how to quantify something as difficult as “cognitive effort” for MDM.